Aileen Lee’s “Unicorn” post on TechCrunch a few weeks ago accurately illustrated how hard it is to build a sustainable tech business, a premise I’ve written about before. I agree with her that there is no “unicorn-hunting” checklist, but I believe there are ways to identify and mitigate risk as you build your business. 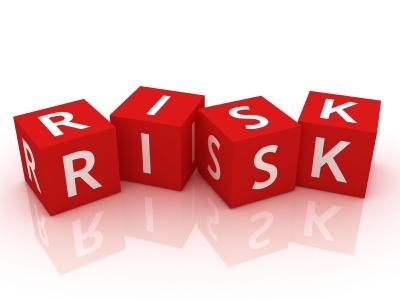 Understanding these risks and addressing them head-on can significantly increase your chances of creating a billion dollar business. I bucket risk into four areas: Market, Technology, Team and Business. In this post, I will focus on Market risk and follow up in the next few weeks with updates on the other three areas. Market Risk: Would anyone want this? The “market” is defined as the total potential demand for your product, and equals the average unit price x total units sold by you and all of your competitors. how much are they spending or could they spend on your product i.e. is there an existing or predefined budget that could be allocated? is the problem you are solving a priority for them now or in the future? are they willing to pay someone to solve this problem? Many companies I speak to say their new products have no competition, and therefore they cannot size their market opportunity. It is certainly hard when you are breaking new ground. But if you think a bit more broadly, usually, you will not only be able to scope it out, but you can also avoid getting blindsided by competitors and solutions you may not have taken into account. For example, Salesforce.com pioneered an entirely new revolution around cloud based application delivery: there was no SaaS market per se at that time. But the market risk could in fact have been scoped by an analysis that tried to understand which customers would be willing to shift spend from on-premise CRM to a SaaS model i.e. a model promised easier deployment and lower capital expenditure but created risk around data control and security. Or to understand whether customers who spent nothing on CRM at the time would receive enough benefit from this new model to be willing to start paying for it. Market timing is also important as it is risky to build too far in advance of users recognizing that they have a problem, even if the market eventually gets large. Salesforce.com took over 4 years to sign 8,000 paying customers and surpass 100,000 seat licenses. But today, SaaS startups do not have the same battle to convince IT managers of SaaS as an viable model. They can focus on their core value proposition and “ride” the customer interest and spend towards SaaS. Interestingly, they may face other challenges that Salesforce.com did not have in terms of “crowded markets,” search for talent and more savvy customer base. But these are Team and Business Risk issues, not Market risk, and I will cover those later. Lock-in customer spend: If you have designed for a specialized customer base, like Manufacturing, try to understand all the needs of that customer base and see if there is a way to capture more of that customer’s attention and spend. This also creates “stickiness” and makes it harder for customers to pull you out. Look for vertical adjacencies: If you are focused on one vertical, like Retail, consider like-minded customers in verticals adjacent to Retail, like Travel, Hospitality and Entertainment. You may lose some depth, but you could make that up in breadth. Consider geographic expansion: If you have optimized for one country, like the U.S., research whether there are other areas with similar demand characteristics that won’t take too much localization. For instance, maybe you could address all English-speaking countries or markets with similar broadband penetration. Expand customer segments: If you deliver product to large high-end customers, consider whether there are mid-market customers that would buy less feature-rich and more cost effective versions could be built simultaneously. Of course, the execution involved in building and delivering product to expand your market opportunity is not always straightforward. I will talk more about those risks in ensuing posts, but thinking about whether those customers even exist will help scope out the market opportunity vs risk in clearer terms. Great reading, thanks for taking the time. Look forward to the rest of the series.